this month kate spade has partnered with the artist darcel. he has brought a funky and cartoon style to the classic look…there are fun donuts, aliens, apples and all things new york. you will see his design in the apparel, jewelry and handbags…check it out and let me know what you think about the partnership! 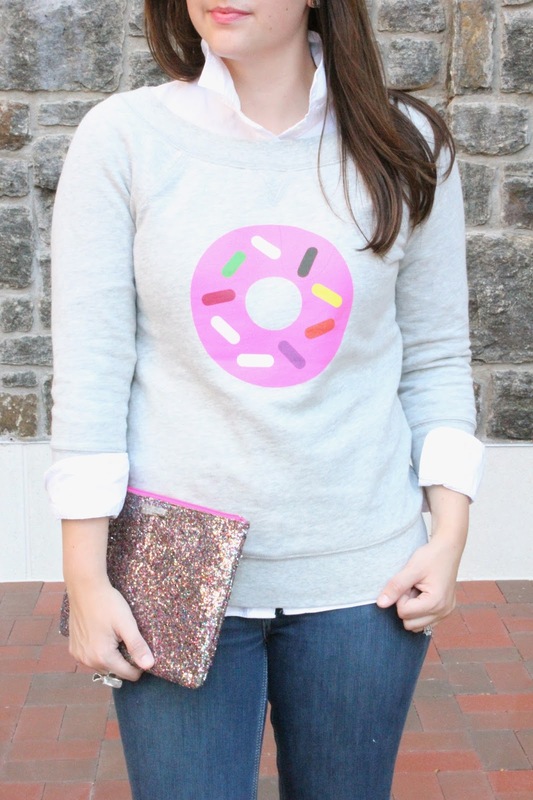 That donut sweatshirt is awesome! That sweater is so freaking cute! Love it paired with fuchsia heels! I really want that sweater 🙂 So cute!! Oh my gosh this sweater is so much fun!! I love this sweater..I'm so thinking about getting the tee, so adorable!